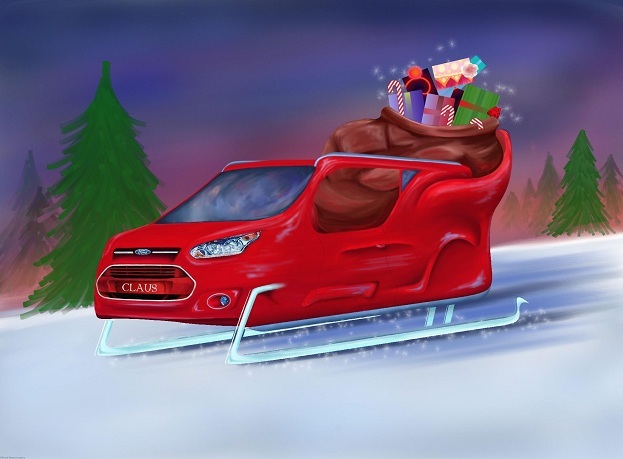 Santa Cars are Coming to Town! Last December, we chronicled one of the more fantastic Holiday experiences we’ve had in the car business: mere weeks before Christmas, we sold a truck to a couple from the North Pole – well, technically from the town of North Pole, Alaska, but that’s close enough to the Arctic for us. So we got to thinking: if Santa Claus himself were to purchase a vehicle from one of our dealerships, what would he choose? Santa has a very unique set of wants and needs that would inform his car buying process, and the folks at Butler Acura think the Acura MDX might just be the best of all worlds for the big guy. Sporting Acura’s suite of safety features standard and coming with option Super Handling All-Wheel Drive, the MDX is a good fit for stormy weather and winter road conditions. When you add in ample power, 3rd-row seats for his favorite elves, and available Dark Cherry Pearl paint, if Santa wants to go the luxurious route, the MDX has everyone else beat. Let’s face it: if Santa had to physically carry all his presents with him, he’d need to travel in the Titanic. He clearly has some North Pole magic going on (see also: flying reindeer,) so we’re not going to worry too much about cargo space. If Mr. Claus’ choice of outfits is any indication, the man knows how to make an impression and likes bold, bright colors. Couple that with the fact that he has what might be the hardest job in the world, and it’s clear he deserves something sharp, fast, and fun for his days off. We can imagine Santa taking a week off to tackle the PCH in a 700-horsepower Mustang, and we’d love to be the ones to take him and Mrs. Claus for a test drive! While much of Kia’s lineup could present distinct advantages to the big guy, our choice here is based on one basic assumption: Santa deserves a car that’s fun to drive when he feels like taking a spin, but is also ideal for a chauffeur. You can’t tell us that with all those elves, Santa doesn’t have someone to drive him around, and the K900 has a backseat that even a person of Santa’s profile would feel comfortable in, complete with air-conditioning and infotainment controls accessible from the back passenger seat. If it’s good enough for Lebron James, it has a good shot at being good enough for St. Nick.